ICELAND _ "Diffusion and Participation"
Director General of the Cultural Heritage Agency of Iceland.
" The Ministry of Education, Science and Culture has assigned the Cultural Heritage Agency of Iceland to organize and coordinate the European Year of Cultural Heritage 2018. In so doing, the Cultural Heritage Agency will liaise with all other government institutions responsible for preserving cultural heritage in Iceland. The Cultural Heritage Agency will further coordinate with the Regional Heritage Boards, eight in total and each in its own part of the country, for events and projects on regional and local levels. Local municipal museums, civil associations and certain public companies will also be specially invited to participate. The European Heritage Days in Iceland will be dedicated to EYCH 2018. The Cultural Heritage Agency is currently discussing the possible participation of the Icelandic National Broadcasting Service in EYCH 2018. The idea is to produce short documentary programs on cultural heritage for television. Children will be a special focus of EYCH 2018 with a new participatory heritage initiative which will be introduced in schools around the country. Archaeological and architectural heritage will be in the forefront of EYCH 2018 in Iceland. " LUXEMBOURG _ "# Heritage for Future"
Director of the National Service for the Sites and Monuments of Luxembourg.
" In order to promote the organization of events that are meant to higlight all the cultural heritage of Luxembourg, the Ministry of Culture itself is in charge of the national coordination of the EYCH. Last September, a great “kick-off” meeting was organized, to which the Ministry of Culture invited more than 150 guests from Luxemburgish institutions and associations. The main topics were presented on this occasion, such as education and awareness raising, sustainable development and new technologies. A special call for proposals was launched. In so doing, all the actors involved in heritage are allowed to submit new projects to the Ministry of Culture, with an aim to obtain the Luxemburgish EYCH label. During a first deliberation in October, the National Service for Sites and Monuments received the above-mentioned label for a total a four events, including two conferences and two exhibitions. For more information, please visit www.patrimoine2018.lu. " Director General of the Swedish National Heritage Board.
" The Swedish National Heritage Board is coordinating the organization of EYCH 2018, in close cooperation with regions and local stakeholders. The overall objective of EYCH 2018 in Sweden is to present a broad spectrum of cultural heritage projects and events for mainly a public audience, focusing especially on children and young people. Already ongoing and planned projects for 2018 will highlight the goals of the EYCH. A national coordinator located at the Director General’s Office organizes the work together with colleagues from different departments within the Board. A national communications campaign including a website (where also a form for submitting projects can be found), use of social media and press- and marketing activities. A number of key-events that will pay attention to the goals of the Year, for instance the European Heritage Days and the National Archaeology Day. Regional projects include, among others, a World Heritage Conference on migration (Region Västra Götaland) and Cultural Heritage – the Key To the Future; Discover, Experience, Appreciate with numerous activities throughout the year (Region Gävleborg). 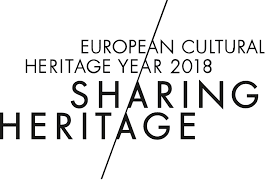 EYCH 2018 is also to be considered as a source of inspiration for new initiatives over the coming years, engaging people in managing and developing cultural heritage in Sweden and Europe. "